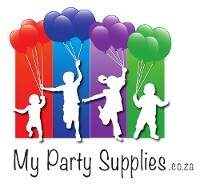 Plain and themed party supplies, tableware and accessories for boys parties. Boys Party Supplies There are no products in this category. Batman themed kids party supplies. Contruction party plates, cups, serviettes and other construction party decor and accessories. Racing Checkered print party supplies. At night, young friends Connor, Amaya and Greg put on their pajamas, activate their animal amulets and turn into their alter egos -- Catboy, Owlette and Gekko -- before embarking on adventures that are filled with action. Does your child love wild animals. Then this the perfect theme for their party. The party supplies contain images of lions, zebras, monkeys etc.